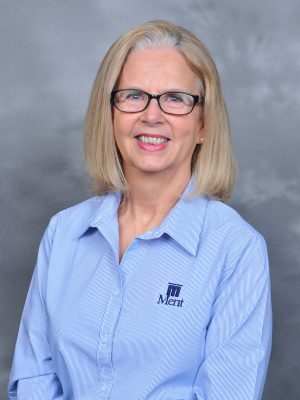 Jeanette Madaj joined the Merit team in 2000 as a file clerk/receptionist. She has been the Accounting Assistant since 2010. She came to Merit with 13 years of customer service/administrative assistant experience within the banking industry having held positions in Texas, Oklahoma and Georgia. She has 13 years of volunteer experience through Tanasi Girl Scout Council and was an active volunteer at various schools throughout her daughters’ school and sports years. She is a native of Texas, has lived in eight states but has made Knoxville her home since 1991. She is the mother of four daughters and has six grandchildren. She enjoys traveling, camping, white water rafting and spending time with her family.